Beach Days is the Level 2 unit ages 2 and 3. 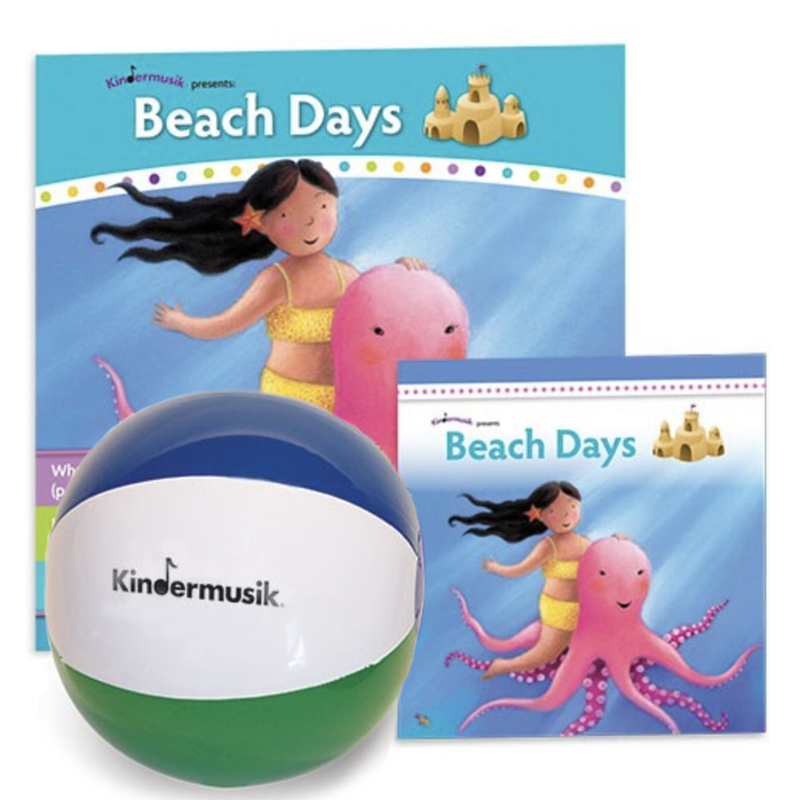 "Grab your beach ball and put on your sunscreen - Beach Days are here! We'll sing, dance and play instruments as we explore the sights and sounds found at the beach. Get ready to wiggle your toes in the sand, scuttle like a crab, and listen to the surf rolling in. This unit is full of sun, fun, and play! The charge is $87 for 5 weeks AND INCLUDES physical materials; a book, cd and age-appropriate instrument for each family. Summer tuition is charged upon enrollment and is non-refundable. Make-up classes will be available but limited. I cannot offer the sibling discount over the summer, but if you have two in the same age group, I am happy to refund you the cost of a second set of home materials. As usual, all enrollment is completed at kindermusik.com With only 7 classes offered, space is limited so don't wait too long to sign up! Miss Cecily had a full house last year in Round Lake!